Home English trivia Does the word ‘Salary’ Comes from the word ‘Salt’? 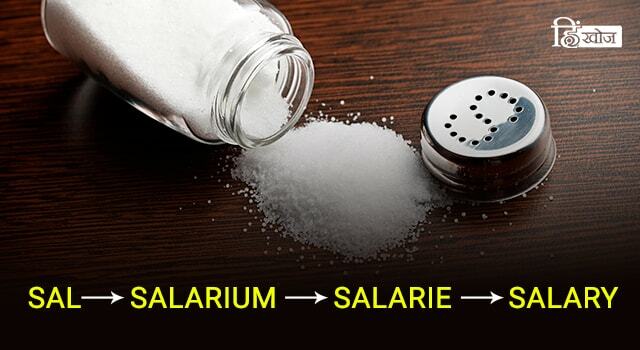 Wondering what’s the relation between SALARY and SALT? Let’s see. Today is the most beautiful day of the month because it’s PAY DAY. I thought you might like to know just where your salary comes from. Don’t worry, I’m not talking about the money in your bank account. How would I know where that comes from? Not that I need to explain this but still I will. The pay or wages you earn for doing your job is called your salary. आइए जानते हैं की salt और salary के बीच आखिर क्या connection है? If you’ve ever heard the phrase “you are the salt of the earth” or “worth your salt”, both are referring to the high value of salt. In a way, salarium (in the form of salt) was the monthly allowance for the Roman soldiers, just like we all get money every month for our respective jobs. The money was given so that people could buy salt on their own in exchange of it. This money was also called as SALT-MONEY. जैसे जैसे आधुनिकता का विकास हुआ, नमक की production आसान होने के कारण बढ़ गयी, and this white gold gradually lost it’s worth. Salt was replaced by money and that’s why when you hear that the word ‘Salary’ has it’s roots in the word salt, it’s very diificult to believe. Today, salary is synonymous to money. With time, the ‘salarium’ evolved into the French word Salarie and eventually, it was adopted by English language in it’s current form ‘SALARY’. So that’s the connection between Salt and Salary. 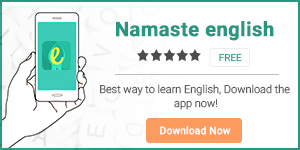 To enhance your vocabulary, download our English-Hindi dictionary app HinKhoj.